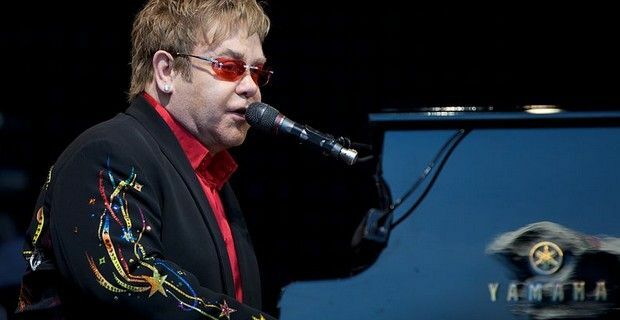 Russian President Vladimir Putin has turned out to be an Elton John fan, describing the British singer and songwriter as "an outstanding musician despite his sexual orientation” and despite the singer’s outspoken views on Russia’s anti-gay laws. "Elton John is an outstanding person [and] outstanding musician,” Putin was quoted as saying to AFP, “Millions of our people sincerely love him despite his orientation." This was Putin’s latest attempt in trying to calm protests and calls from gay rights activists to boycott the 2014 Sochi Winter Olympics that run from February 7 to 23. The statement regarding Elton John comes after the singer publicly criticized the country’s anti-gay propaganda laws during a concert in Moscow last month. John dedicated the concert to 23 year-old Vladislav Tornovoi who was tortured and murdered for being gay in the city of Volgograd, and condemned gay discrimination and expressed his support for the LGBT community. "I am deeply saddened and shocked over the current legislation that is now in place against the (homosexual) community here in Russia," said Elton John while onstage. "In my opinion, it is inhumane and it is isolating. Harmony is what makes a happy family and a strong society." Putin who is better known for putting on display his 'macho' persona than allowing gay pride rallies said, "I don't care about a person's orientation. I myself know some people who are gay; we're on friendly terms. I'm not prejudice in anyway." The Russian president also defended the homosexual anti propaganda law that he signed last year, "People with non-traditional sexual orientation cannot feel like they are second-rate because they are in no way discriminated against: not professionally, not career-wise, not when it comes to recognition by society." He also denied that homosexuals are unwelcome in Russia and at the Winter Olympics, assuring the media that Russia will welcome all athletes and guests at the upcoming games, regardless of their sexual orientation, "People have different sexual orientations … We will welcome all athletes and all guests of the Olympics."